This year's desserts are a little different from the past year. We ditched many traditional Christmas treats but one. I could not afford not to have gingerbread house on the dessert table. Christmas is my favorite holiday. For me, the holidays would not be complete without it. 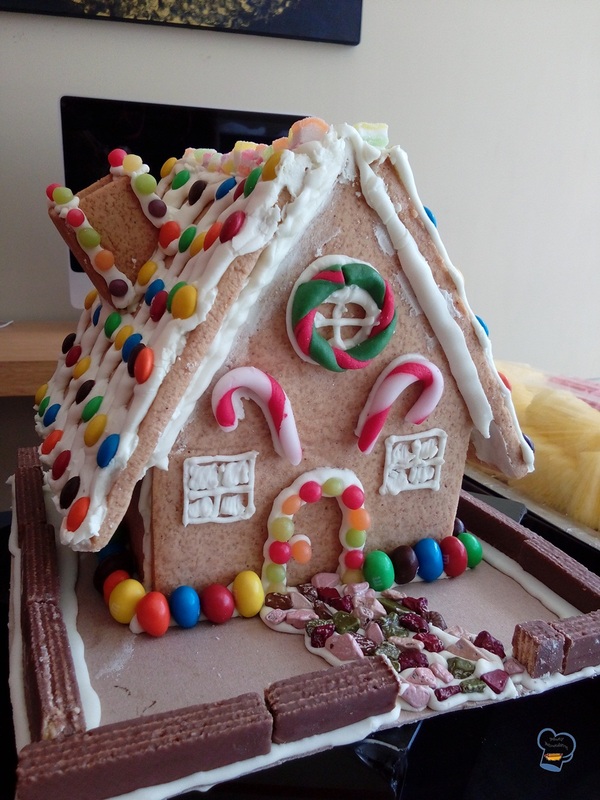 Even I was on full schedule, I squeezed in some time to make gingerbread house. It's my added treat for everyone this Christmas! 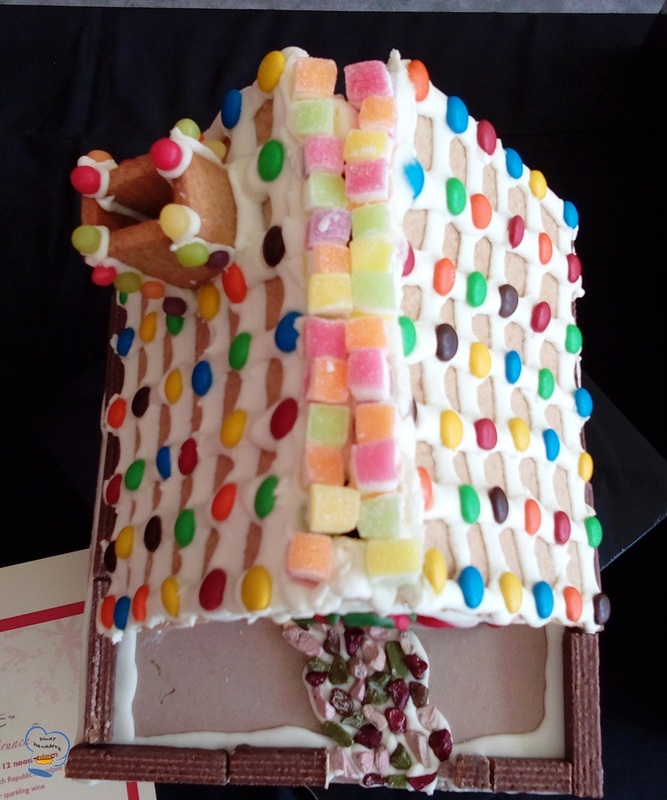 So, here it is - my gingerbread house with an array of colorful decorative toppings! Notice how the roof almost caved in. 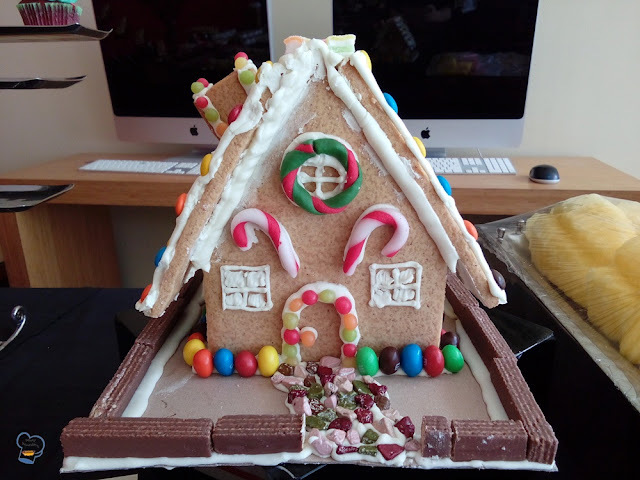 Well, it has been a year since I made my very first gingerbread house. I assembled the pieces without reading the instructions again. I didn't give the pieces enough time to dry. My bad. The mistakes I made has cost me a great deal of time. I had to disassemble the roof and glue them to the wall again. I used various candies on the house. I made the wreath and candy cane using fondant. 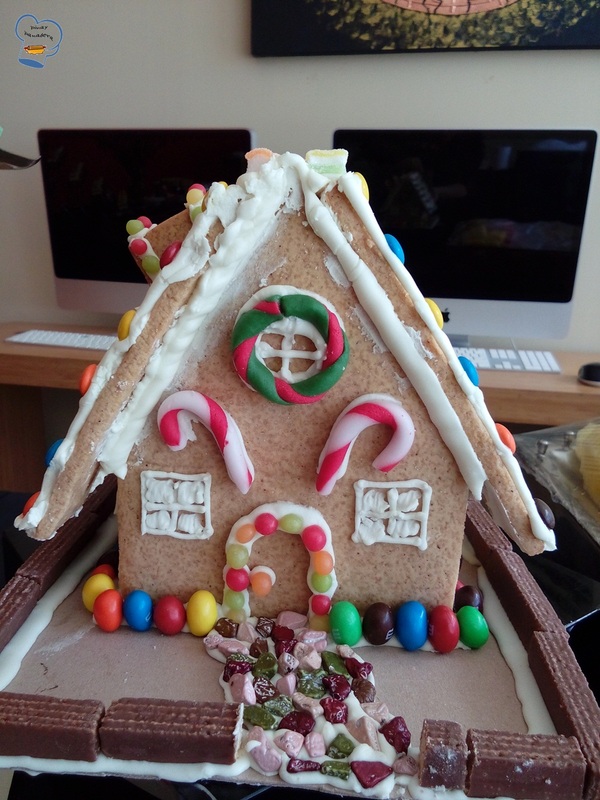 I covered the roof with M & M's and roof top with fruit pastilles. I used fruit candies to line the door and chimney. 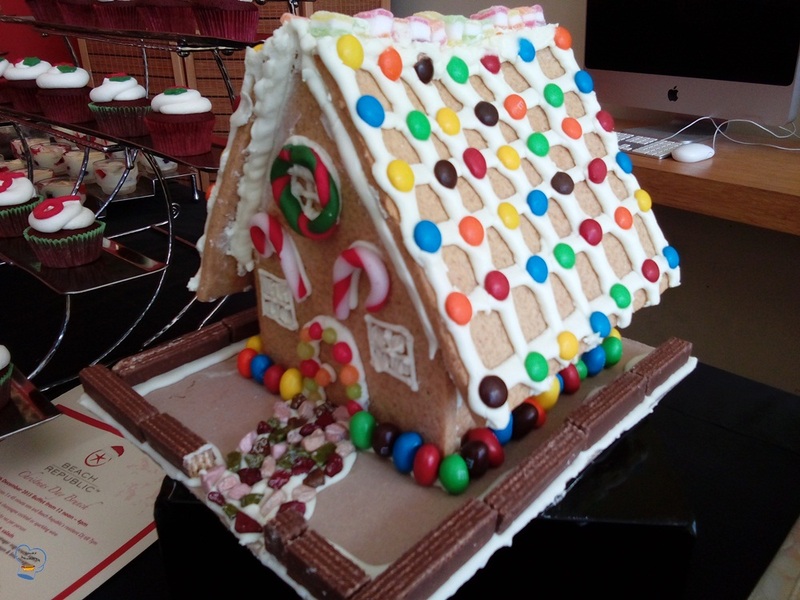 I added M&M's peanut candies around the house. I covered the pathway with chocolate rock and surrounded it with chocolate covered wafers.